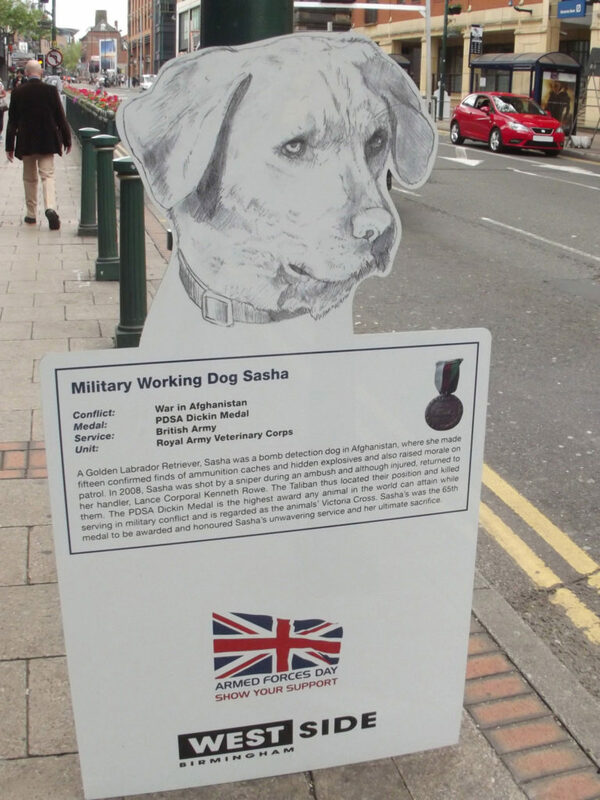 The exhibition, displayed on Broad Street, honors a number of Birmingham’s wartime heroes from all branches of the military, and even includes a Military Working dog named Sasha. The heroes are diverse, branching racial, ethnic, gender and even age demographics to compile a group of individuals worthy of praise. From the Second Anglo-Afghan War to World War II, the battles are equally diverse. Each of the white Dibond displays feature a sketched portrait of the hero, the war in which they participated, their highest honor, their branch of the military, unit, place of birth and a short biography. The sketches were hand-drawn by local artists due to the inability to create sizable images from the poor quality photography of the era. 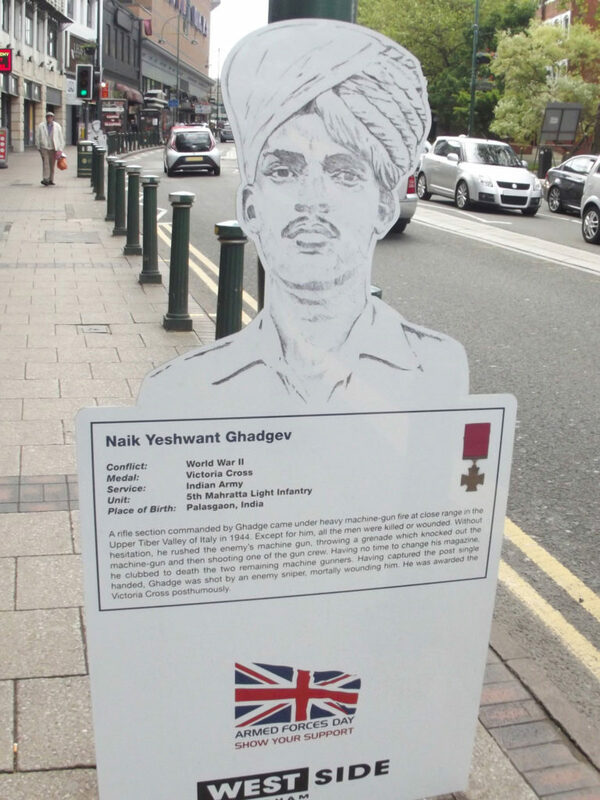 In a sandwich board style, the panels were affixed to light poles in high trafficked areas on Broad Street. Identical graphics were printed for either side of the pole, allowing for maximum visibility. Dibond aluminum composite material is an ideal material for exterior displays due to its light weight and rigidity. The material can withstand external elements and printability to its white aluminum facer creates vivid and lasting graphics. 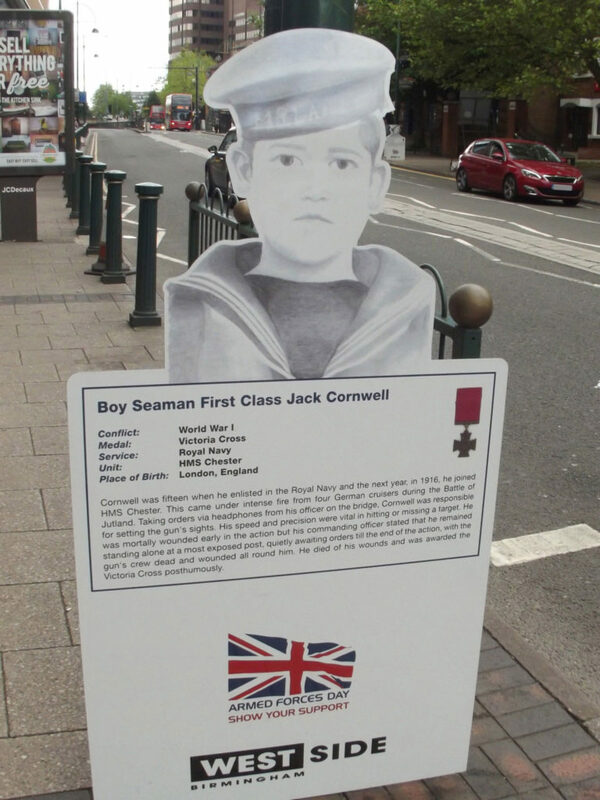 The exhibition creates a sense of pride for local residents who may not be aware of the historical relevance their community has left behind. Due to the event’s popularity, it is set to be an annually recurring celebration.